The Philadelphia Flyers were one of the teams who kept quiet on the first day of free agency, and Flyers GM Ron Hextall said he was perfectly happy with how uneventful the day was for his team. "I don’t like going into free agency needing three or four bodies and you kind of end up blowing your brains out there," Hextall told the media. "We feel like we got a real good fit for our team and we like our team here." 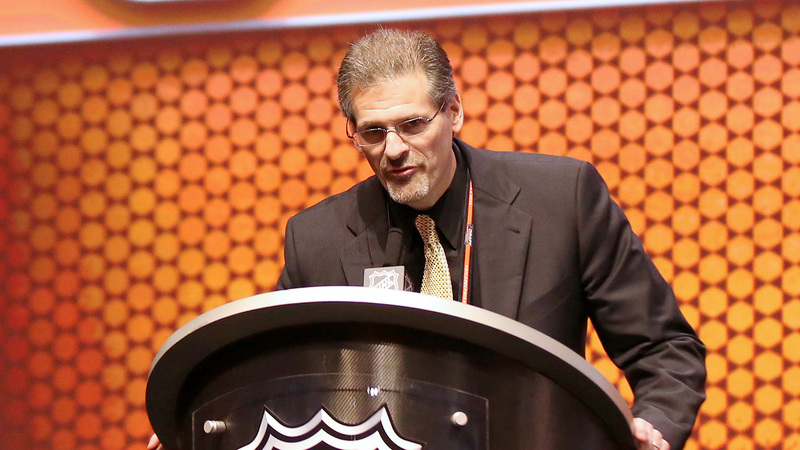 Hextall had a bit of a handicap on the market considering the team's scant cap space. The Flyers did pick up a backup goalie in Michal Neuvirth, but Philadelphia has just about $4.1 million of available cap space. That total makes it difficult to compete for the few big names available on this year's underwhelming free agent market. But Hextall told reporters he does not think his team needs to make a big splash this summer to improve the team anyway. "I’m comfortable where we are as a team,” Hextall said to reporters. “Comfortable with the additions and Vandy [Chris VandeVelde] coming back and [Ryan] White coming back and upgrading our skill with Gagner and defense with [Evgeni] Medvedev and now upgrading goaltending with Neuvirth." The Flyers failed to make the playoffs last season and finished in sixth place in the Metropolitan Division with a 33-31-18 record.